Blue Rock Construction, Inc. > Blue Rock Project Profiles > Industrial > PetSmart, Inc.
PetSmart, Inc., the largest specialty pet retailer in the country, turned to Blue Rock Construction to deliver an 871,000-square-foot warehouse and distribution center in Bethel, PA. 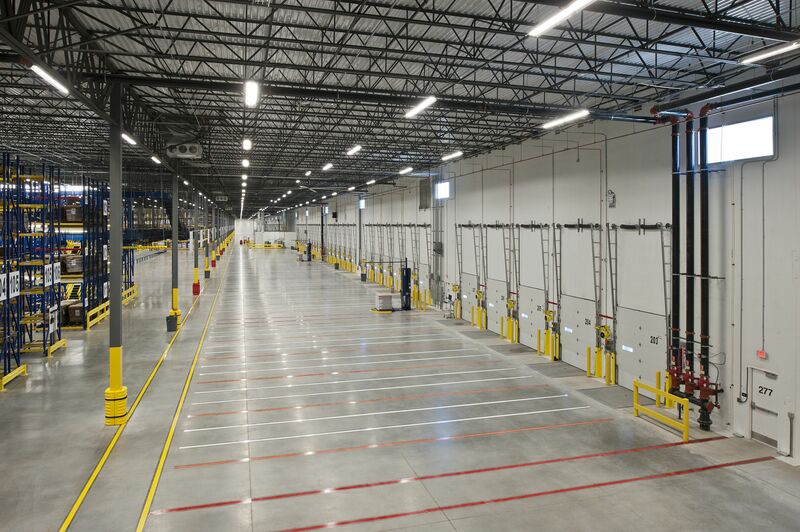 Able to complete the project within nine months, Blue Rock produced a 25,000-square-foot office space and a 45,000-square-foot climate control area for PetSmart’s fish aquarium and distribution facilities. Also, there are 138 dock positions with hidden hook truck restraints. During construction there was an onsite batch plant for concrete slab on grade and exterior concrete paving to produce over 40,000 cubic yards of concrete. The distribution center is expected to bring at least 500 jobs to the Bethel Township area by 2016. 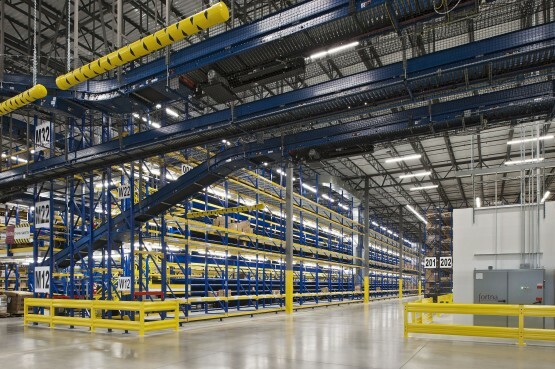 Within proximity of more high-volume stores, the distribution center provides transportation savings and enables a significant percentage of PetSmart’s over 1,240 stores to be serviced from the this location. 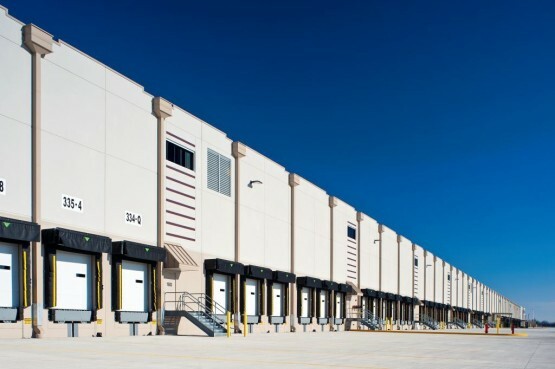 The distribution center at Berks Park (78 Industrial Park) off of PA I-78 will serve eleven states and Eastern Canada, providing services to over 260 PetSmart stores. PetSmart, Inc. is the largest specialty pet retailer of services and solutions for the lifetime needs of pets. 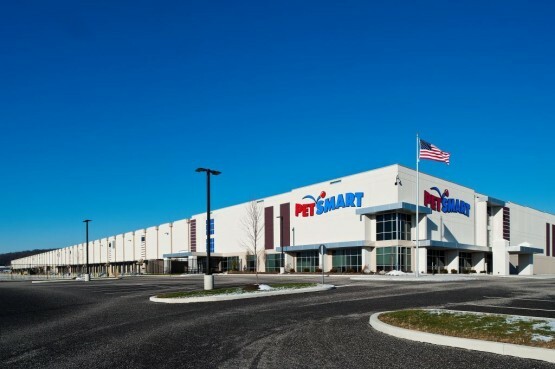 The company employs approximately 50,000 associates and operates more than 1,240 pet stores in the United States, Canada and Puerto Rico, over 194 in-store PetSmart® PetsHotel® dog and cat boarding facilities and is a leading online provider of pet supplies and pet care information at www.petsmart.com.